Getting the right solution to your divorce or custody and visitation dispute is all about working closely with your lawyer. At some larger law firms, this might not always be possible. 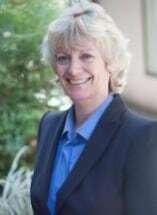 But at Judy L. Ford Attorney at Law in Sacramento, California, you will definitely work closely with me, an experienced and ethical professional. Perhaps more than any other area of law, family attorneys need to combine knowledge of the current law with good communication skills and understanding. This is how I approach each case that my law firm takes on. I have worked closely with clients facing divorce, domestic violence and disputes over child custody and visitation since 2006. My background in nursing (I was awarded a Bachelor of Science in Nursing with Distinction from the University of Nevada, Reno, in 1997) shows that I have the training and empathy to guide and support you and your family through emotionally challenging times. When the future of your children and the structure of your household are in dispute, it is never easy to find common ground with your partner. That's why, in the early stages of divorce or custody and visitation negotiations, it is crucial to take a firm stance: My starting point is to try to reach an agreed upon court order, if possible. If you can agree to a divorce settlement or parenting plan without asking the court to intervene, you will feel more in control of your situation, and you will save money. That said, you can depend on me to aggressively advocate for you and your family in court when necessary. Call me, Judy L. Ford, Attorney at Law now for a consultation. I will also set out the likely cost of my services to help you budget.